Vintage Wine Barrel 11 in. Vintage Wine Barrel 10 in. 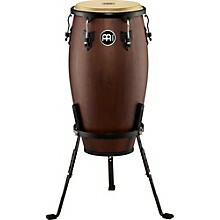 This Meinl Headliner Designer Series Conga comes with a height-adjustable basket stand. Its compact size is easy for young players to handle, light to carry and has a full, rich sound. 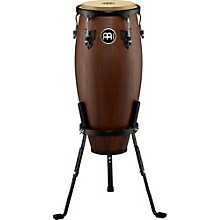 You can develop a full foundation of conga techniques and rhythms with these student-friendly hand drums. Its shell is made of rubber wood decorated with an exotic looking cloth covering. 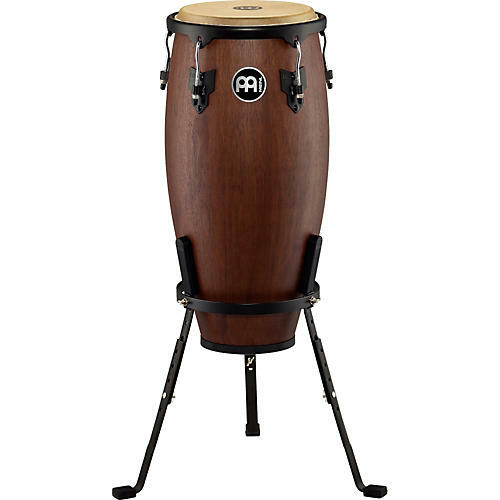 The Headliner conga also features a hand-selected buffalo skin head, strong tuning lugs, and the original Meinl style tuning brackets for great authentic tones and easy tunability. Its rounded rim offers a comfortable playing surface, so you can play as long as you need, without killing your hands.